Following the announcement of a new leadership team at the end of 2018, Schibsted today announced the name of the remaining position of CD&TO. Sven Størmer Thaulow comes from the position of Managing Director for Cisco Norway & Iceland. “Schibsted´s executive team is today complete as we can announce that Sven Størmer Thaulow has accepted the role as our Chief Data & Technology Officer,” says Kristin Skogen Lund, CEO of Schibsted, who joined the company 1st of December. Thaulow comes from the position of Managing Director for Cisco Norway & Iceland. He is an experienced leader, renowned for building key digital innovation concepts and new ventures for more than 15 years in global communications and technology companies, such as Telenor Group and Cisco. “We need to better leverage our ability to collect and process data to develop our consumer and advertising offerings. Sven has been instrumental in building data and technology platforms to provide efficient services for millions of customers worldwide. He is an experienced technology leader within mobile, data and digital services and we are proud that he is joining our team,” Skogen Lund continues. Schibsted has a solid and rapidly growing portfolio of digital consumer offerings, that empower people in their daily lives. As a digital front-runner region, the Nordics will be key for Schibsted to further develop existing offerings and technology, testing new exciting solutions and disruptive offerings for our customers. Nordic Marketplaces; led by Anders Skoe, CEO of FINN and asset owner for Blocket (Sweden) and Tori (Finland). Publishing; led by Siv Juvik Tveitnes, previously Head of Publishing operations in the Media Division. Schibsted Next (Venture investments, Financial Services, organic growth initiatives incl Distribution); led by Raoul Grünthal, previously CEO Schibsted Media. Grünthal will, in addition, have a functional role with the responsibility of boosting growth and entrepreneurship across the company. Trond Berger continues in Skogen Lunds management team as Chief Financial Officer. 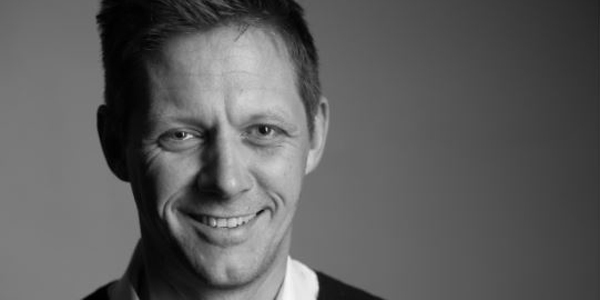 Berger has been with Schibsted ASA almost 20 years, and thus represents valuable continuity. Mette Krogsrud, who has previously worked in Schibsted (2005-2010) joins the company from the position as Managing Director of Korn Ferry in Norway. As Chief People & Corporate Affairs Officer, she will take a driving role within HR, Communications and Public Policy, supporting and driving the culture and competence building across business units. Krogsrud will be joining the company early spring 2019. And today, Sven Størmer Thaulow, has been appointed Chief Data & Technology Officer. The role will be given responsibility for technology strategy and the development of shared platforms, with a particular focus on data management. In addition to the business areas and functions, there will be an informal geographical structure in each of the main markets to ensure revenue synergies and the strengthening of Schibsted’s market position in Sweden and Norway, respectively. Kristin Skogen Lund will act as country manager in Norway and Raoul Grünthal will be country manager in Sweden. “The new organization will reflect both Schibsted’s three business areas, and the Group’s foundation which serves as an enabler of long-term business growth. Our goal is that our leading marketplaces, growth initiatives and media companies will increasingly realize synergies, which will help us further develop value-creation for society, customers and shareholders,” Kristin Skogen Lund said as she announced her new team in December. Schibsted Media Group is an international media group with 8000 employees in 22 countries. Millions of people around the world interact with Schibsted’s popular digital services through our media houses, our digital marketplaces and our growth companies. In 2019, our Marketplaces operations outside of the Nordics will be spun off and established as an independent, listed company. Schibsted will continue to be a company of leading digital consumer brands with a footprint in the Nordics.